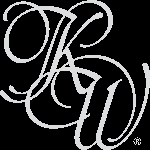 Links to third party web sites may be provided on this Keller Williams web site. If so, they are provided solely as a convenience to you. If you use these links, you will leave this Site. Keller Williams has not reviewed any third party sites and does not control and is not responsible for any of these sites or their content. Keller Williams does not endorse or make any representations about such sites, or any information or materials found there, or any results that may be obtained from using them. Keller Williams does not endorse, does not make any representations regarding, and is not responsible for, any products, actions or policies (including, but not limited to, any privacy policies or customer relations policies) of any third parties. If you access any third party sites linked to this Site, you do so at your own risk.